Sarah, you are killing me with the pictures of the delicious, delicious hot chocolate! I'm swooning! I gave up chocolate for Lent and really jonesing for some now. All I can say is the Easter Bunny better be good to me or there will be hell to pay. 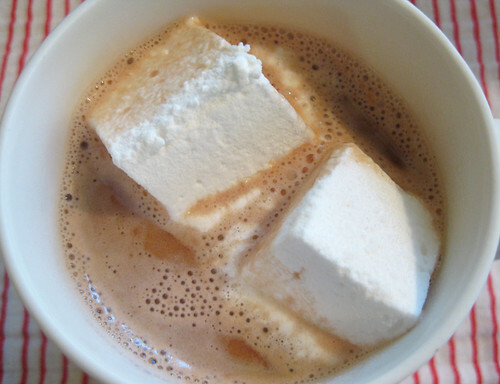 Do you really only make hot chocolate on a seasonal basis? That must be an "up north" thing lol! I have been known to drink it in the summer, but we really don't have too much of a winter 'round here. I suppose if I limited it's use to cool weather, I'd only be able to drink it a few weeks out of the whole year! I am in awe. Those marshmallows look perfect! 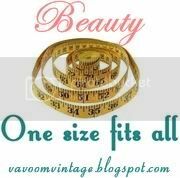 And yummy! Oh gosh, I could have told you to use chocolate! We use dark chocolate here. I buy Callebaut dark callets by the 10kg bag (I have people who usually buy in with me, but I have been known to buy a 10kg for just us). Anyway, we just heat up the milk and then whisk in the choccy. Too yummy! Hmmm, I might have to make marshmallows again. I found some light corn syrup lurking in the back of the cupboard. It's not so easy to buy corn syrup here which in general I am cool with for a variety of reasons, but it's so useful for certain candy making applications. Yum! I am definitely going to have to try these! 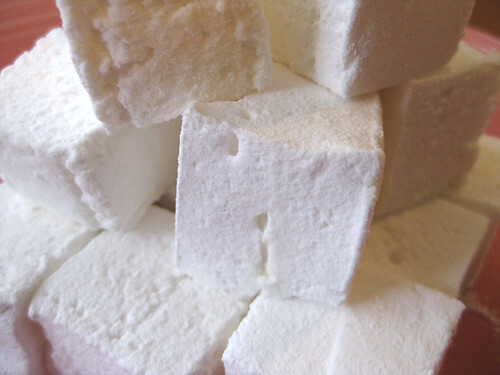 I have sent the link for marshmallows to my daughter we love marshmallows but she is the one that will get round to making them. Yummy! 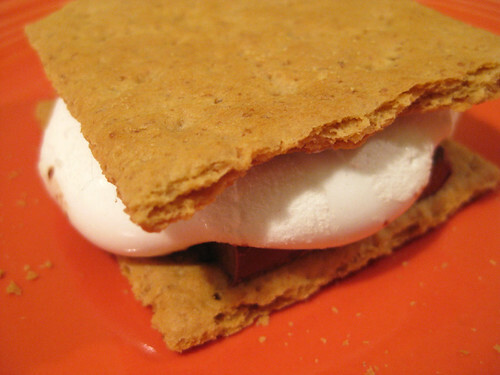 Could you please give me the name and details of the vintage kids' cookbook you talk about for the s'mores recipe? I remember it well but don't know the name.